Phew, finally, back home from all the wonderful summer adventures. This summer I discovered a lot about the Chinese cuisine. What a misnomer! As if there is such a thing as the Chinese cuisine. Chinese cuisines can differ dramatically depending on the region. The cuisine that’s most commonly identified as Chinese is the northern variety with everything pretty much fried. That’s a shame, really, because I found much more interesting cuisines. The one I liked the best comes from a province south of Beijing, called Lijiang, but I will tell you about it in my next post. 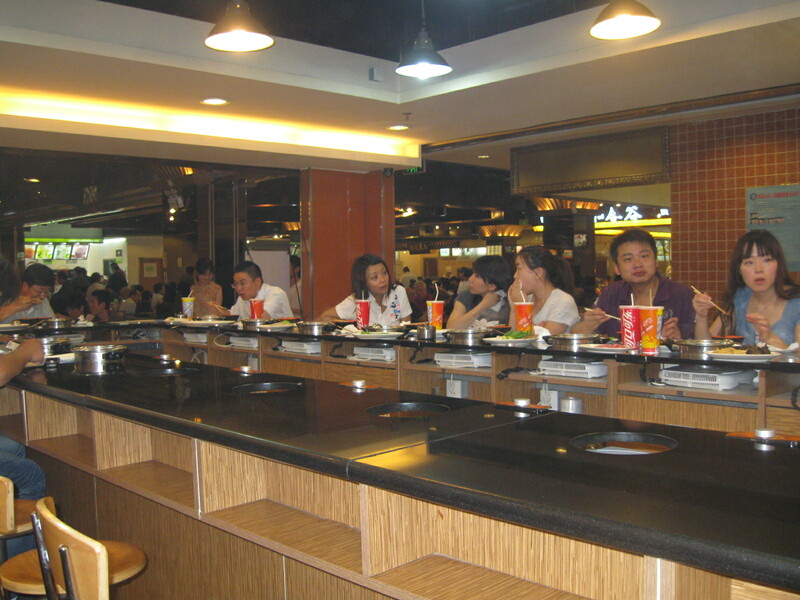 In the photos below, you can see a typical ‘hot pot’ dining arrangement. 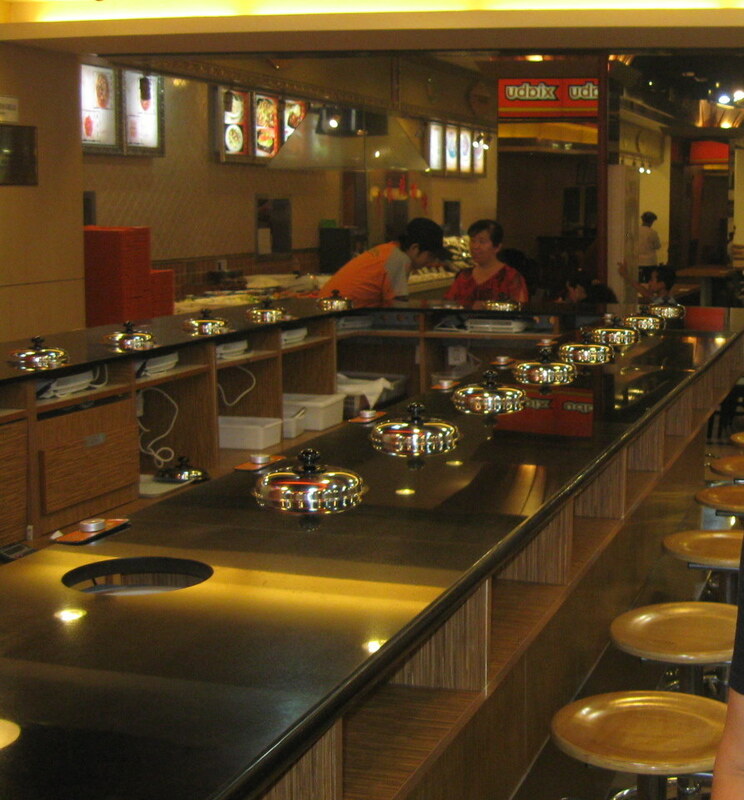 Each guest has a hot pot, immersed in the counter. It’s possible to have the hot pot on top but it’s more convenient to cook in it when it’s lowered. 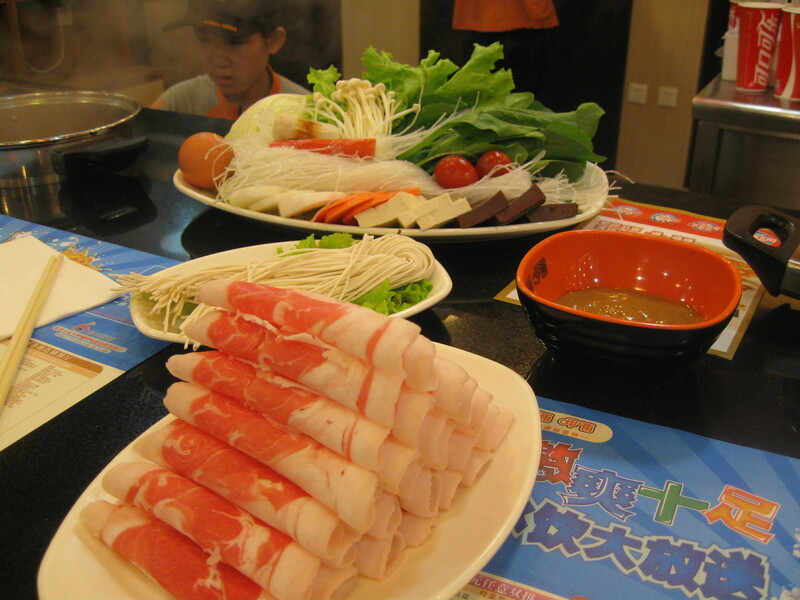 The ‘hot pot’ cuisine was, allegedly, brought to China from Mongolia. Although it’s not clear whether that’s true or not, ‘hot pot’ cooking is definitely common across Mongolia, year round in Beijing, and more popular in winter in other parts of the country. The idea is very simple. You keep a pot of flavored water simmering and cook leafy greens and thin slices of food in it. 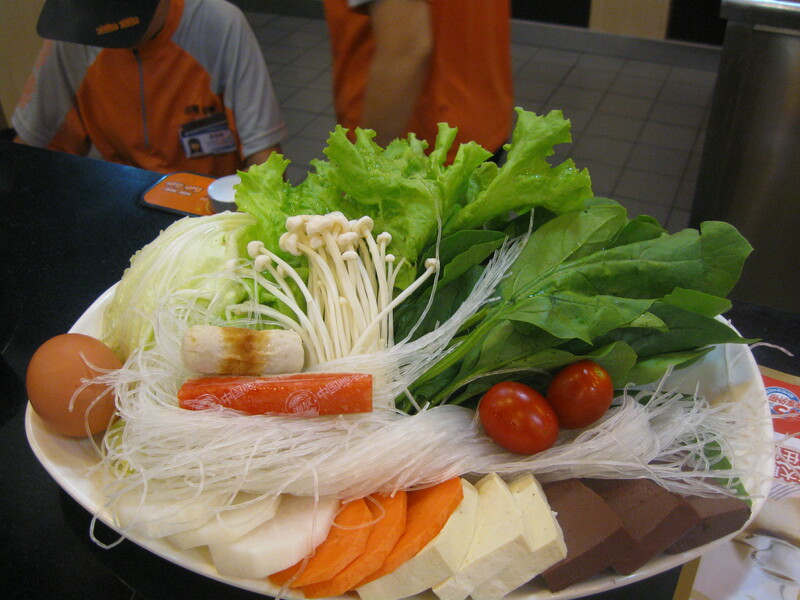 Hot pot dining is like the western fondue, only a tad healthier and with less calories. The water can be a soup base. Some kind of stock, more or less spicy, or just mildly flavored with some spice. The food cooks quickly in the simmering water if you dip one piece at a time. When it’s ready, you take it out and dip it in a bowl of sauce. Mine had a peanut butter kind of flavor which was heavy at the beginning but then became very pleasant as it thinned from the watery veggies. You can see it in the orange bowl in the top photo. I can’t tell you exactly what I ordered to eat, as the menu was all in Chinese –was that an experience!– but I took photos to share. The vegetable tray included lots of green leafs, tofu, and and egg. You can see the collection close-up in the photo below. The meat plate had very thin slices of meat and we also ordered some noodles.